10' A very distinct and lovely small, spreading tree that excels as a lawn specimen. 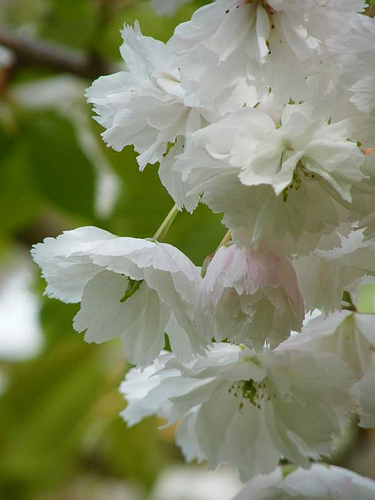 In May the large, frilled double white flowers hang in large, long stalked clusters all along the boughs, creating a remarkable effect. Pink buds opening to white, frilled flowers. In Autumn the leaves turn bright orange and then red before falling.